Do you know someone who needs to jump onboard? A fellow Roo who isn’t a member but should be? A Joey who has lost its way? This is your chance to “Recruit a Roo” and go in the draw to WIN A BRAND-NEW MAZDA CX-3. For each friend or family member you sign up as a member before July 31, you will receive an entry into the draw. Not only do you have the chance to win, but your new recruits will too! All recruits by the winning recruiter will receive a FREE 2020 premium membership. Recruit 20 members and receive an exclusive behind the scenes tour of the North Melbourne Football Club for two people. The top recruiter will have the chance to rub shoulders with the players, receiving two tickets to our 2019 Syd Barker Club Champion Dinner. As a new member, keep an eye out for an email shortly after you join, where you will be asked if you were recruited by a fellow Roo. Be sure to let us know who recruited you so you can both go in the draw. If you didn’t get the email, simply ENTER BELOW using your Member ID to tell us who recruited you! As a recruiter, simply spread the word and get your new recruits to fill out the form with your member ID, so we can automatically enter you in the draw. You can find your member ID on your payment confirmation email as well as on the back of your membership card. 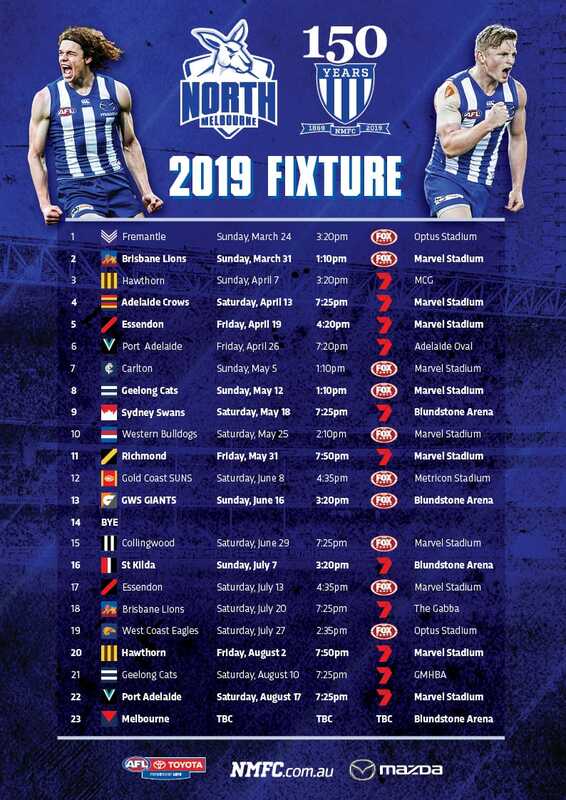 Please call 1300 KANGAS (526 427) or email membership@nmfc.com.au if you are having any difficulties. To get things moving, get your mates to complete this contact request form. Membership Services will contact them within 24 hours to sign them up as a 2019 member and enter you in the draw. There’s really nothing left to do but hop to it….